Advantage Trim & Lumber Company is proud to be the industry leader and foremost authority on Ipe and other exotic hardwood decking. 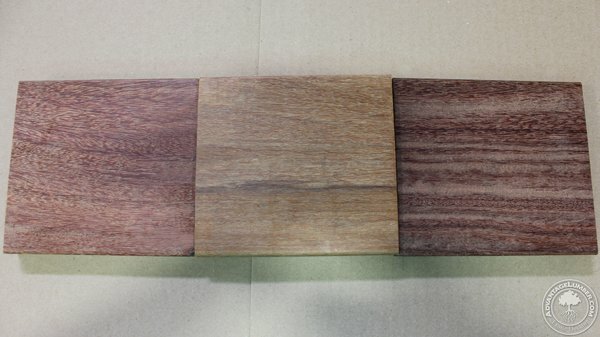 Since 1992, we have offered our valued customers like you access to our expanded decking inventory which includes four distinctive exotic hardwood species. Simply put, our hardwood decking is far superior to any composite decking on the market today. Since our hardwood decking offers a lifespan of 100+ years you know you are going to enjoy your deck for many years to come. With a combined 6 million board feet of inventory and over 1 million board feet in transit via cargo ship, you are certain to find the perfect exotic hardwood for your deck. Unlike our competition, Advantage Trim & Lumber Company not only offers a wide selection of exotic hardwoods, we are also an industry leader when it comes to upholding eco-friendly environmental standards. To prove our commitment to sustainable forestry standards, we also have been awarded the highly-coveted FSC Certification from the world-renowned Forest Stewardship Council. This entry was posted in Decking Installation, Decking Maintenance, Ipe Decking and tagged Advantage Trim & Lumber, Domestic Hardwoods, Exotic Hardwoods, FSC Certification on June 23, 2009 by Mr. Ipe Hardwood.